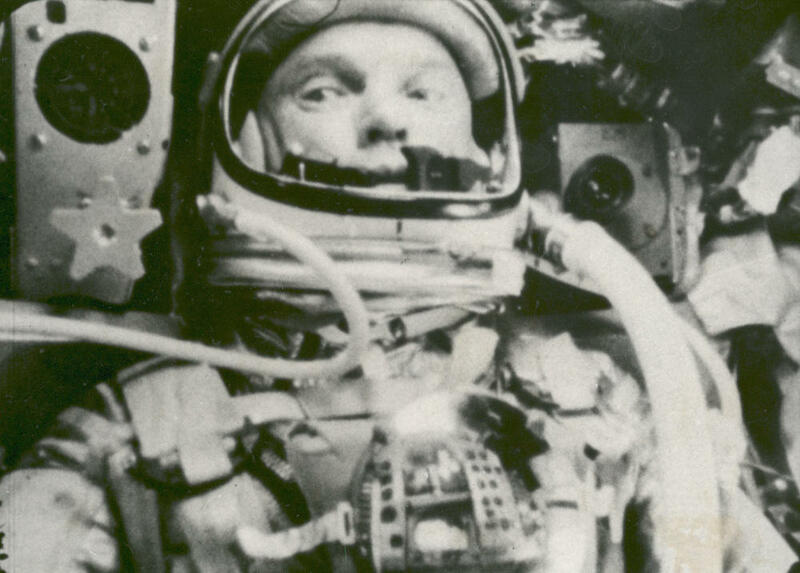 An image captured on Feb. 20, 1962, by NASA shows astronaut John Glenn during his space flight in the Friendship 7 Mercury spacecraft, weightless and traveling at 17,500 mph. The image was made by an automatic sequence motion picture camera. An ESPN editor who was accused of making a racial slur against the NBA's Jeremy Lin — and who was fired this weekend — says his use of the word was an honest mistake. "I'm so sorry if I offended Jeremy," Anthony Federico tells The NY Daily News. And Elizabeth Smart, 24, the former kidnapping victim who got engaged just a month ago, got married in "a dream wedding in Hawaii," The Los Angeles Times reports.